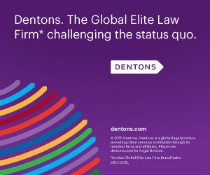 Dentons & McKenna partners approve merger. Learn more about how clients inside the US will gain unrivaled access to markets around the world and international clients will enjoy increased strength and reach across the US. August 15, 2010 – Jim Torpy, of the Atlanta Journal-Constitution, profiled the McKenna Long & Aldridge law firm, including a picture of some of its leaders, Stefan Passantino, Eric Tanenblatt and Keith Mason, and discusses how the firm’s political connections, which have been developed over years of experience, help MLA assist its clients in all types of issues they may have in dealing with government. The article focuess on such current isues as toughened ethics laws, increased scrutiny of politicians and ever-changing lobbying laws and regulations. Pro bono work for immigrants. July 27, 2010 – Stefan Passantino is interviewed on Fox News discussing ethics violation accusations against Congressman Charlie Rangel. Mr. Passantino discusses the potential fallout of the charges against Congressman Rangel. June 22, 2010 – Stefan Passantino and his team’s pay-to-play blog is featured in an Atlanta Journal-Constitution article about the growing popularity and newfound benefits of law firms entering the blogosphere. The article notes that of the top 200 U.S. law firms, 96 now publish blogs, according to LexBlog Inc. The overall strategy for law firm bloggers is to fine a niche in the legal field and a team that enjoys writing about it. However, showing the effectiveness of the blog can be difficult in certain environments, as the results are not as measurable as tracking the standard billable hour. To read Péralte C. Paul’s full article on law firm blogs please click here. June 16, 2010 – Stefan Passantino is quoted in The Hill discussing the fallout often caused by investigations conducted by the Office of Congressional Ethics (OCE). OCE’s current policies are similar to the criminal justice system, in that prosecutors and judges are required to keep their silence, but defendants and witnesses cannot be stopped from discussing the case with the media. From his experience representing clients on ethics issues, Passantino said it’s the policy of the Justice Department and the Senate and House ethics committees to request that outside groups, witnesses and members keep the investigation confidential. But other ethics experts disputed that assertion. Including a request to keep matters private could open a legal minefield and the leave the OCE vulnerable to charges of infringing on the rights to counsel and free speech. November 30, 2009, Stefan Passantino, Head of the Political Law practice at McKenna Long & Aldridge LLP and expert panelist for the National Journal: Under the Influence Blog. Stefan Passantino contributes a blog entry concerning the White House’s new restrictions of lobbyists serving on government advisory boards. He argues that it is the responsibility of lawmakers, as the country’s legislative decision-makers, to make an informed decision based on information from all sides. To read the entire entry please click here. Stefan Passantino is quoted discussing the increase of legal defense funds at the state level, rather than just at the federal level. This concerns some, as the public is unaware of who is donating money to these funds or how much, since there is currently no contribution limit. There is debate about the ethics of this type of fund, however, candidates’ parties will often pick up the bill for things like unfounded accusations. "Both sides of the aisle were using the ethics process as a weapon with some effectiveness," Passantino said. "That is a trend that has become exponentially more prevalent." Jim Galloway discusses the alliance of Rick Thompson and McKenna Long & Aldridge’s Political Law group after his exit from the Georgia State Ethics Commission. He also mentions the blog and discusses some of the latest pay-to-play issues faced by the City of Atlanta.